On Sale Now! Free Shipping Included! 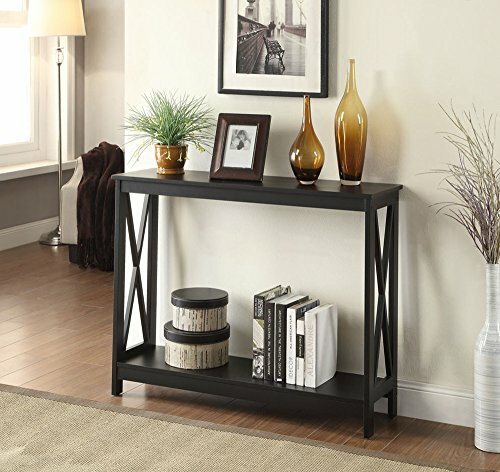 Save 9% on the Convenience Concepts Oxford Console Table, Black by Convenience Concepts at Home Decor Outlet Store. MPN: 203099. Hurry! Limited time offer. Offer valid only while supplies last. The Oxford Console Table by Convenience Concepts is a great addition to any home. In a rich glossy black finish, it's sure to complement any decor. The Oxford Console Table by Convenience Concepts is a great addition to any home. In a rich glossy black finish, it's sure to complement any decor. Featuring a bottom shelf that provides plenty of space to display collectibles or every day necessities with ease of access. Coordinating pieces are also available, sold seperately.